One of the most shocking news this week should be the “Shutter of Rakuten in Southeast Asia ” , causing a stream of suspicion and critiques. In an official statement, Rakuten didn’t explain too detailed about the decision, simply indicating this was part of the corporate vision which is externally known as “Vision 2020”. Although the statement is obscure, a message was left and perhaps the key to the board’s decision, leaving an imagination for most of us. Yes, you’re right. The key words are “C2C” and “mobile”. When taking a close look at the ecosystem built by Rakuten, you may notice that a mobile app coincidentally suited to the hint. It’s Rakuma. It is reported that in order to avoid possible conflict between the old and new business scope, the original online marketplace and Rakuma, Rakuten is forced to make the decision to quit one of them. However, this is not the end. After making a comprehensive survey (see references), one can find out the reasons behind the closedown are far more complex. Here, we conclude some points. First, B2C E-Commerce is a capital-based and scale-based business. Since almost every platform is similar to each other, including the package service they provide, the decisive factor will at length depend on the scale. Scale decides the final winner. Meanwhile, E-commerce is a winner-takes-all market where the rich get even richer. It suggests that one has to increase customer number at the cost of profitability and this is going to cause a huge investment in the long term. Obviously, the risk is overwhelming to take. Second, a year delay in E-Commerce development could mean several years late in business scale. Although Rakuten entered into Southeast Asia almost at the same time as Lazada did, Rakuten seems to be less adventurous and expand slowly. It may be credited to Japanese culture(which is also related to first point), a serious attitude toward decisions they are going to make. In contrast, the counterpart is more ambitious. As a result, although Lazada hasn’t won the game yet, they have defeated some players and take first place in most of the countries. In other words, Rakuten will somehow lose the game and throw itself into the shade. Third, there is no any proven business model that exists in the competitive market for a long period. Whenever talking about a successful E-Commerce business model in Southeast Asia, this is a complicated question beyond understanding and even its opponent, Lazada, is still working on coming up with a wining strategy to attract customers and increase the market share. Some players may want to copy the model implemented in China by Alibaba, but is it applicable in Southeast Asia as well? It is worth being discussed and need time to prove. Although Rakuten has successful experience applied in Taiwan and its domestic region, those would not totally fit in all Southeast Asia. Since Rakuten can not make a change to differentiate itself, it going to be an enduring war. Corresponding to the first point, the challenge they are taking on is like hot potato which is hard to handle. Fourth, unlike other matured market, such as US, UK and Japan, Southeast Asian use more mobile devices than desktop. In the graph above, it is hard not to notice the high penetration rate of smartphone in Southeast Asia countries. In Thailand alone, the number is up to 70%, indicating the huge difference of life style as compared to those developed countries. In all, the uncertainty in the Southeast Asia potentially influence board’s decision and could be the last straw that breaks the camel. Although there is a saying that the commerce in Southeast Asia is the current gold rush site, the segmented islands, language barrier and cultural differences are all the obstacles which are needed to overcome. 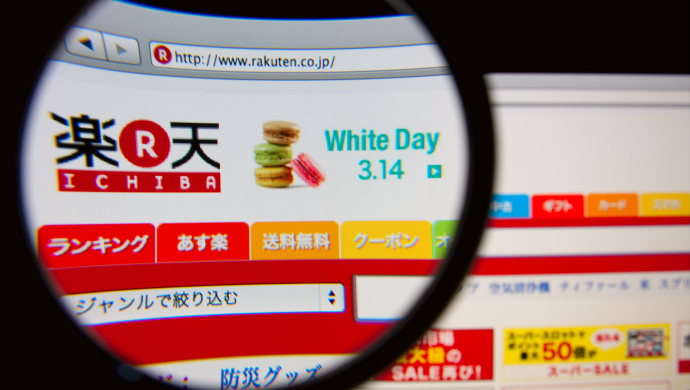 The strategy of Rakuten seems to be reckless in the short term. When putting your vision in 2020, this move could be the best way for Rakuten, a Japanese E-commerce giant, to expand and flourish in Southeast Asia.